Conservation Officer Clark was born on October 21, 1937. He was a native of Worcester, Massachusetts, but had lived in Bristol for twenty-six years. He graduated from Plymouth State College in 1959 with a Bachelor of Science degree in Education. Conservation Officer Clark was a State Conservation Officer for eight years. 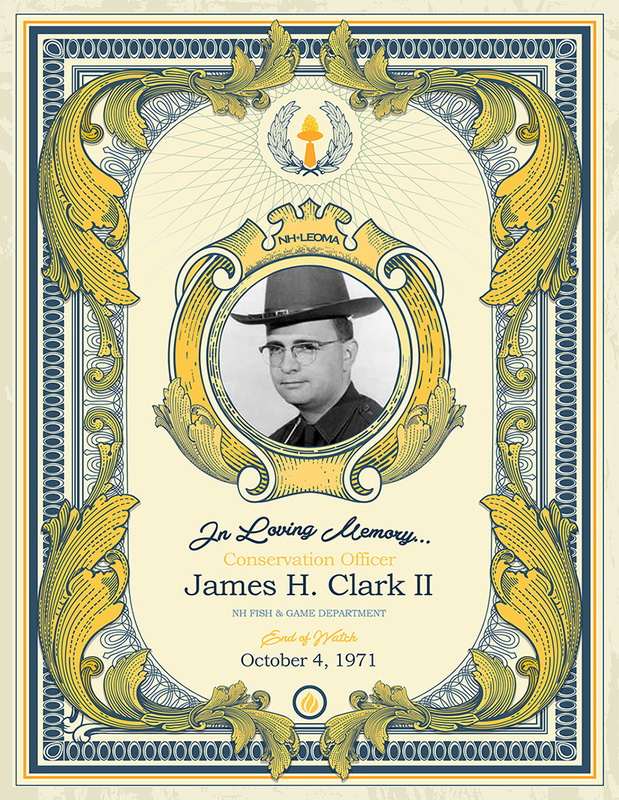 Shortly before his death on October 4, 1971, Officer Clark did a three day search and rescue, climbing up and down Mt. Moosilauke and dove for six hours in cold water to unplug a culvert. On an extremely hot day, while stocking pheasant in Alexandria, he returned to his cruiser after completing his task and suffered a heart attack. He died at the Speare Hospital in Plymouth. He was 33 years old. He was survived by his wife, Eleanor, his two sons James and Everett, and his two daughters, Susan and Mary.